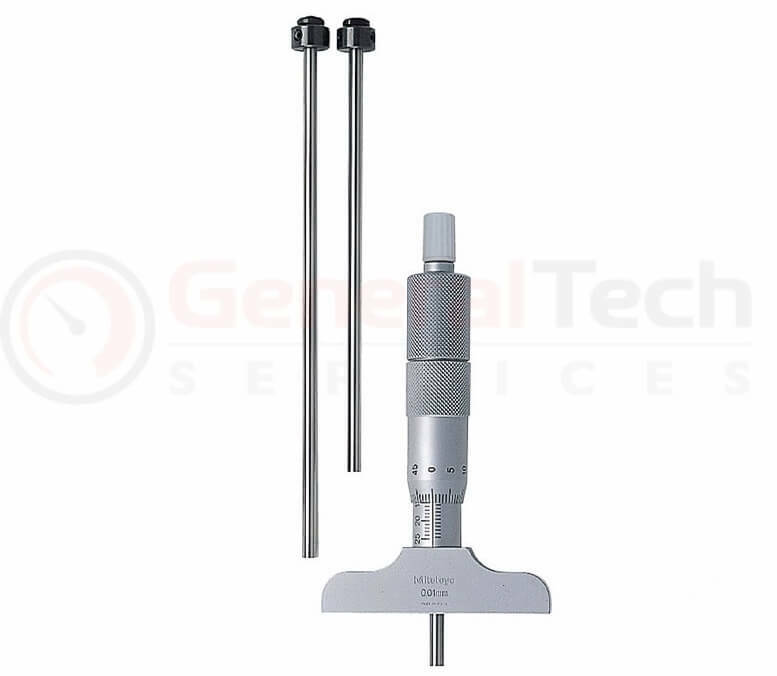 Two base size models available. 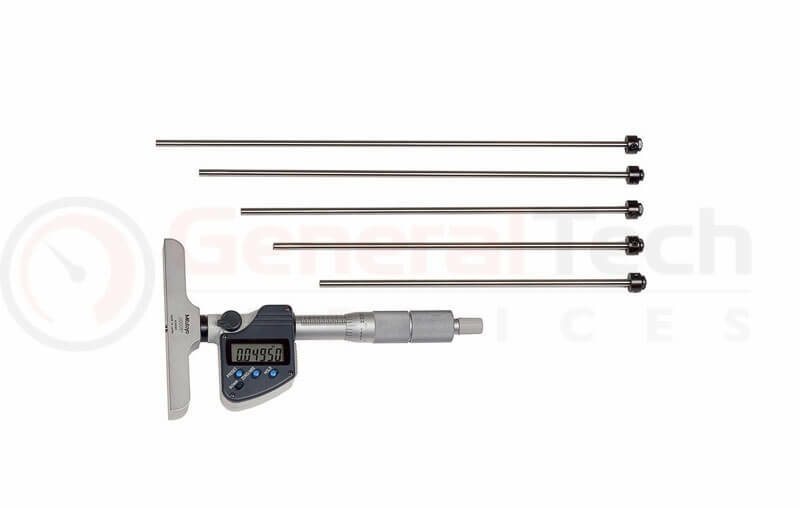 Provides flexible depth measurement over a wide range using interchangeable rods. 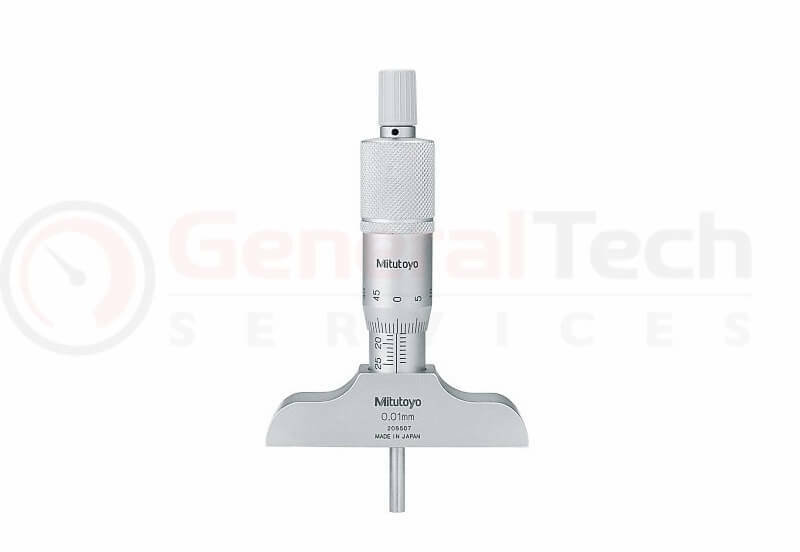 Part Number : 329-350-10 Mitutoyo Digital Depth Micrometer 0-150mm / 0-6"